As with the talk radio shows that preceded them, successful podcasts come in two general types: those that draw listeners due to a robust guest list, and those that draw listeners due to the charisma of and chemistry created by the host(s). You tune into the first one because it has Taylor Swift on this week, and you just love Taylor and everything about her. You tune into the second one because you think the host is funny or insightful, and you understand that the format calls for guest interviews but just wish it would get back to the action of the show itself. Marc Maron’s WTF Podcast is the first sort of podcast, and I wish he didn’t have such a good guest list. Maron is the Larry King of the podcast world. I don’t really mean that as a compliment, although it does attest to a certain accomplishment of volume and recognition of relative status. The comparison arises out of the apparent fact that neither do much preparation prior to interviewing their subjects. Standing alone, it’s at least an academically interesting approach, but, as with many such approaches, it can fall apart under practical application, especially when coupled with proclivity for interrupting the subject. For Maron, the interview organization almost always takes the form of a chronological, biographical framework, and the result often essentially is a guest haltingly reciting his or her Wikipedia page. As a means of introducing a subject to an unfamiliar audience, I suppose one could do worse. The point of podcasts in general, I’d thought, and podcasts like Maron’s, I’d assumed, though, was to do more than that, to go deeper than that. Maybe not. Maybe the point of podcasts is to sell underwear and postage stamps. The point: if you aren’t going to do much prep, let the thing breathe. It’s ok if you don’t quite know what you’re talking about, but it might be better to acknowledge that and let the person who does do the talking. Don Was has to be one of the coolest guys around. The Detroit native is an instrumentalist, bandleader, movie director, and Grammy-winning producer whose list of credits nearly is as long as it is prestigious. He also serves as the president of Blue Note Records. Was should make an excellent interview subject. Maron’s handling of him revealed little in the way of beneath-the-surface insights, however; the host seemed more intent on having his guest drop as many famous names as possible than delving into interesting stories. County fair in the country sun and everything is cool. 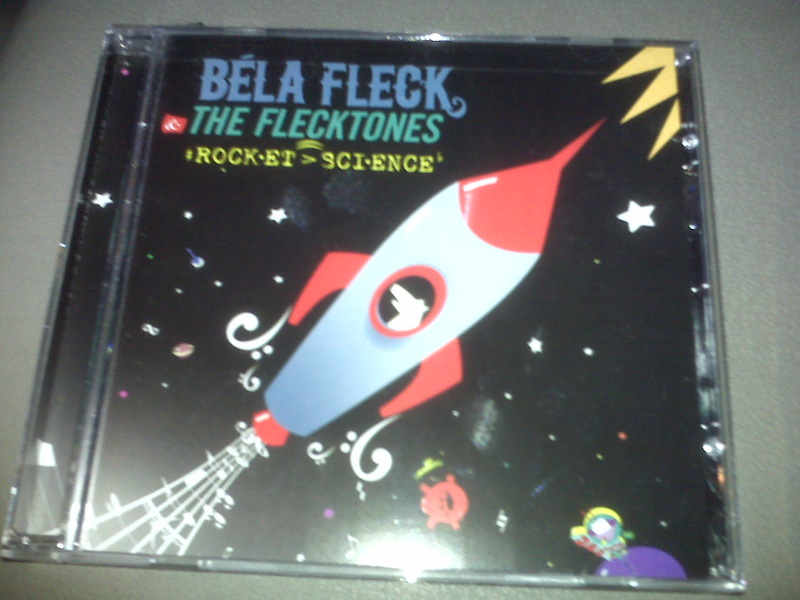 I just received a copy of Rocket Science, the latest release from Béla Fleck and the Flecktones. I haven’t made it all the way through the disc just yet, but fans of the group’s previous releases will be right at home with this album. Rocket Science marks the return of original Flecktone Howard Levy, who left the band in 1992. His piano and harmonica definitely are a noticeable (re)addition to the band’s sound, and they anchor the overall sound and provide it with a fullness missing on some thinner releases like Flight of the Cosmic Hippo, while keeping the band from soaring through vast soundscapes like they did on Live Art and Outbound. Still, the sound is good and familiar. What struck me in the early listening was how apparent it was, perhaps for the first time (at least to this degree), that this is a jazz group. I never balked at their situation in the jazz racks at the local radio station, but listening to Rocket Science, it’s clear they belong there. Maybe it’s Levy’s piano, but more likely it’s the more cohesively rhythmic ensemble playing that populates the meat of these songs. Longtime saxophonist Jeff Coffin– he was with the group from 1998 until he left in 2008 to fill in for Dave Matthews’ fallen parter LeRoi Moore– is missed, but like all of Fleck’s bands’ lineups, they constantly remind you of their diverse strengths, never letting you consider potential weaknesses. Looking at some full-album reviews, I and you can look forward to some masterful work by bass guitar master Victor Wooten in the later tracks, which isn’t surprising news, but it certainly is welcome. I first saw the Flecktones in Michigan circa 1998, when they were opening for the band Coffin eventually would join, and I saw them on their own when I was in college in New York. Back in MI, I’m planning to catch them again tonight, when they’ll share an outdoor stage with Bruce Hornsby and the Noisemakers. It should be summertime sonic fun of the first degree, and I look forward to noting the results in the coming days.